Product is Finished with Wilsonart High Pressure Laminate with matching 3 Mill edge. 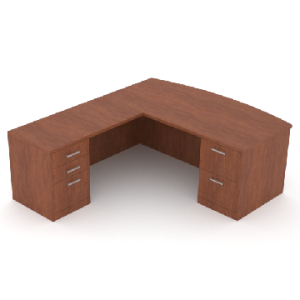 Desk dimensions are 72″w x 42″d x 29″h. There are 3 return dimensions 48″w x 24″d / 60″w x 24″d /72″w x 24″d. Unit comes with file file and box box file peds.